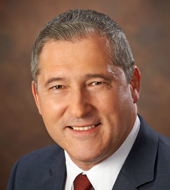 Dale joined NEPIRC as Vice-President of Consulting Operations in 2013. He is responsible for coordinating the delivery of NEPIRC staff services and deployment of NEPIRC resources strategically to aid regional manufacturers in the areas of Lean & Continuous Improvement, Innovation & Strategy, Quality Management Systems, Industry Certification, Sustainability, Workforce Development and Supply Chain Development. Dale and Staff are committed to the success of the region’s manufacturers and to aiding their leadership. Dale brings over 30 years of manufacturing experience in the region serving as a partner and a principal in a local manufacturing firm holding positions in finance, information systems, operations, marketing and sales throughout his career. Prior to NEPIRC, Dale was most recently responsible for marketing his firm nationally and managing a regional sales force covering seven states. In the early 2000’s, he successfully automated his firm’s manufacturing processes incorporating robotics and conveyor systems. Dale hopes to share his experiences with regional manufacturers in an effort to help guide them to their own innovative solutions to their businesses. Dale served as a board member on the Optical Laboratories Association board from 1999-2009 and is an American Board of Opticians Certified Speaker since 2003. He continues to be active as an ABO Certified speaker for the Vision Council at regional meetings. Dale is a graduate of Wilkes University, where he obtained a degree in Business Administration with minor studies in Finance, Information Systems and Social Sciences. Dale recently completed Executive Education at MIT and a Project Management Certificate Program at Penn State University.